Partnering with GrowNYC is a great way to show your community you care. 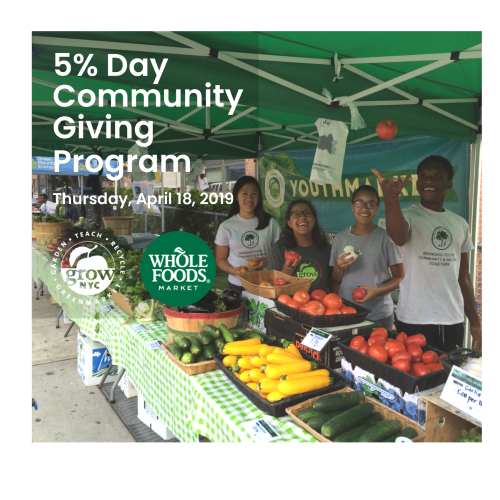 For nearly 50 years, residents have relied on our programs: shopping at their neighborhood Greenmarket, dropping off their compost, helping start a community or school garden, and much more. NAMING OPPORTUNITY. Each year GrowNYC distributes mini-grants of $500-2,000 to at least 75 NYC schools to start or expand school gardens. We can brand a grant cycle with your company, include your logo in email blasts, on www.growtolearn.org, as well as in grant announcements. NAMING OPPORTUNITY. Have your branding visible to thousands of New Yorkers who walk through our market – last fall we had over 300,000 people at Union Square! Opportunities include 10X10 tabling/giveaways, logos on our A-frame signs throughout the market, or recipe card sponsorship. NAMING OPPORTUNITY. Our half-acre demonstration garden welcomes 5,000 school children for field trips each year —from sensory gardens, to rolling compost, to cooking. Additional 80,000 visitors on weekends. Naming opportunities for parts of the garden – the orchard, the farm, hydroponic system, etc. In 2017 GrowNYC built its 100th community garden in NYC. To celebrate, we have created the New Garden Fund - ensuring New York City will only get greener as we build the next 100 gardens. These green spaces, big and small, give all New Yorkers the chance to grow food, get exercise and fresh air, learn, connect with nature, form communities and connections, and so much more. NAMING OPPORTUNITY. We will brand Greenmarket Bucks with your logo on them and distribute them to New Yorkers who need them, or you can distribute them to your staff as incentives! NAMING OPPORTUNITY. This 12-part environmental series takes place at GrowNYC's new public home, a state-of-the-art center for sustainability and education. Greenmarket Youth Education provides school tours for grades K-12 at weekday farmers markets when school is in session and the weather is mild. In 2017, we provided 6,000 young people with the opportunity to taste seasonal produce, talk with farmers, learn about where their food comes from, and spend Greenmarket Bucks on healthy food to take home. NAMING OPPORTUNITY. Every spring 500 greening groups - community gardens, block associations, churches and public housing groups – come pick up highly affordable plants at wholesale rates/quantities to get greening projects started for the spring. They pick up enough plants to cover the Brooklyn Bridge! Corporate volunteer opportunity for your employees too! NAMING OPPORTUNITY. GrowNYC's Fresh Food Box Program is a food access initiative that enables 18 under-served communities to purchase fresh, healthy, and primarily regionally-grown produce well below traditional retail prices. The produce included in each $14 Fresh Food Box is the best of what’s seasonally available. NAMING OPPORTUNITY. Youthmarket is a network of 18 urban farm stands operated by neighborhood youth, supplied by local farmers, and designed to bring fresh fruits and vegetables to communities throughout New York City. 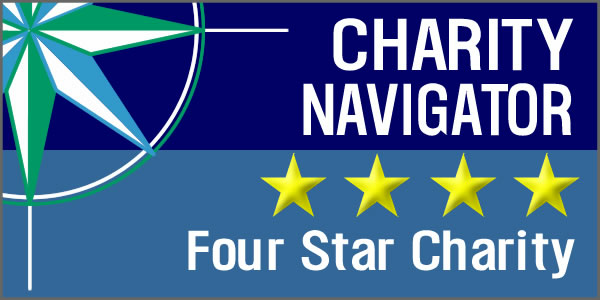 Your logo will be visible on a large banner that will hang every week, visible to hundreds of weekly customers and thousands of passersby. NAMING OPPORTUNITY. This fun, lively evening series takes you behind the scenes of Greenmarket: heirlooms, cheese-making, growing grains and more. Expert-led conversation, and of course, great food. NAMING OPPORTUNITY. GrowNYC’s state-of-the-art sustainability and events space, located in Union Square, hosts talks, film screenings, cooking classes and dinners. Your name and logo will be visible on conference room glass doors and your name will go on our donor wall. This airy room features a salvaged wood wall, light tubes bringing in natural light and a long, salvaged wood table. NAMING OPPORTUNITY. GrowNYC’s state-of-the-art sustainability and events space, located in Union Square, hosts talks, film screenings, cooking classes and dinners. Your name and logo will be visible on the wall of our open flex-space education center and on our donor wall at Project Farmhouse. NAMING OPPORTUNITY. On the road every day across the five boroughs, our Greenmarket Co. trucks are delivering fresh regional produce to restaurants, senior centers, food pantries, our Youthmarkets and retailers. Your logo on our trucks is highly visible and speaks to your commitment to farmers and farming. GrowNYC works with corporate groups of any size on outdoor volunteer projects across New York City. Volunteers from your company can plant and clean up community and school gardens, organize and run cultural events, plant trees, or provide recycling outreach and assistance at major events and street fairs. Our volunteer opportunities are designed to be team building activities that are fun, lively, and get your hands a little dirty. GrowNYC also forms partnerships with organizations that want to come back to a site several times a year, giving the volunteers a sense of investment and involvement in the community, and allowing us to take on major renovation projects. Contact us to inquire about a corporate volunteer day or call Mike Rezny at (212) 788-7935. 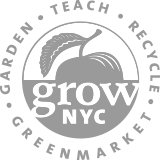 Make a contribution on behalf of your company of any amount in support GrowNYC’s mission. This is the simplest and most meaningful way to give. A small donation tied to your sales makes a big difference – and lets your customers know you care! $1 for every prix fixe menu, 25 cents per entrée, $5 for a special edition pair of jeans or a shirt. We can work with you to come up with a program. GrowNYC welcomes donations of products or services that help us allocate more funds toward our mission to create a healthier, more sustainable NYC. We often need: outdoor kitchen equipment, printing and mail services, photography, and outdoor gear for our staff working in community gardens and out at Greenmarket.